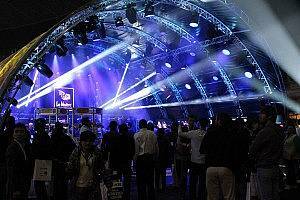 Well known for high quality trussing systems, Prolyte Group has broadened its portfolio to incorporate four complementary-but-independent brands – Litestructures, ProlyteStructures, StageDex and ProLyft. Their products – designed and manufactured following the Group’s intrinsic product philosophies – are utilised in installations, events and productions all over the world. 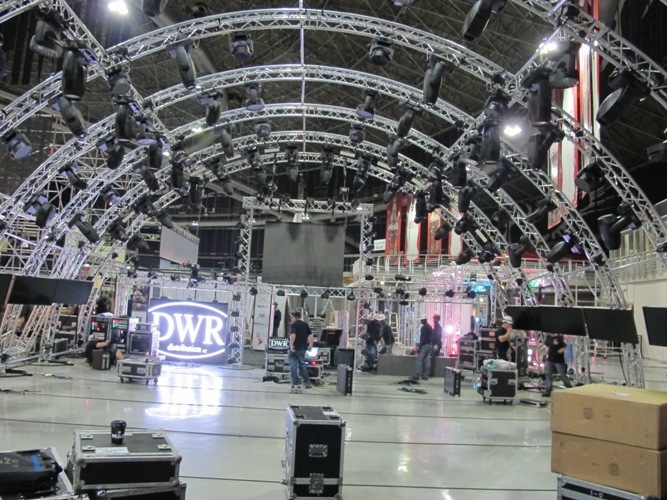 Over a span of nearly three decades, Prolyte Group has grown to become one of the largest manufacturers of aluminium trussing, staging and structural solutions in the world. With manufacturing bases in Wakefield, UK, Leek, Netherlands and Slatina, Romania, Prolyte Group has the flexibility and resources required to control both quality and cost. In addition to the manufacturing sites, Prolyte Group maintain three European offices; in Wakefield, UK, Leek, Netherlands and Emsdetten, Germany and two Asian offices; in Kuala Lumpur, Malaysia and Tokyo, Japan. Prolyte Products GmbH in Emsdetten is strategically positioned to provide a stockholding facility in the heart of mainland Europe. Wonderful photo by Sarah Rushton-Read at Mediatech 2013. Paul Erik Haseloop from Prolyte (right) with Michael Stratham (MA Lighting). Completing the team effort is a network of distribution partners who not only supply our products but also back them with approved customer service and technical support. The Prolyte Group is headquartered in Leek, where the complex process of design, engineering, manufacturing and sales come together. People are the heart and soul of our operation. All of us at the Prolyte Group strive for innovation and rise to the challenges our customers present. And we give the highest priority to safety, education and the distribution of combined knowledge. In the process we desire to develop sustainable business for our customers and partners. 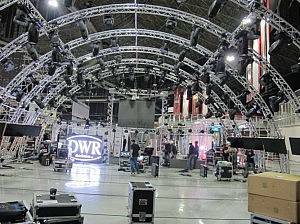 DWR Distribution has appreciated the enthusiasm and interest received from Paul Erik Haseloop from Prolyte. One would imagine that if he had a choice to live anywhere else in the world, he certainly would consider South Africa. 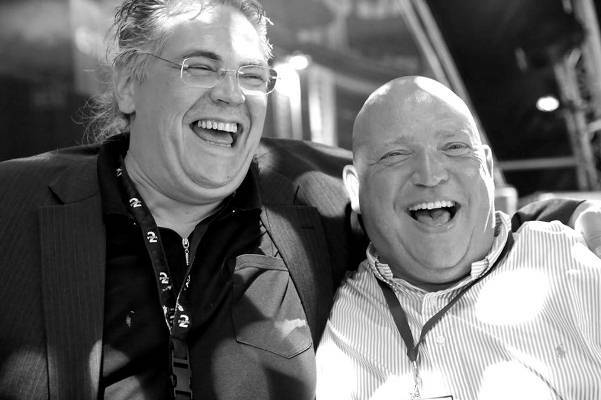 At DWR, the person most passionate about Prolyte is Robert Izzett, followed very closely by Keith Pugin. We are grateful to have a team who love what they do, and it’s not always easy and it’s not always fun. Thank you.